The council meets at South Lopham, at 7.30 p.m., members of the public are welcome to attend. The Meeting of South Lopham Parish Council will be held at 7.30 pm on Tuesday 7 November 2017 at Valley Farm, Low Meadow, South Lopham. Agenda in PDF Format (opens in new window). Minutes of previous meeting in PDF Format (opens in new window). The Meeting of South Lopham Parish Council will be held at 7.30 pm on Thursday 6 July 2017 at Valley Farm, Low Meadow, South Lopham. The Meeting of South Lopham Parish Council will be held at 7.30 pm on Tuesday 7 March 2017 (please note change to normal date) at Valley Farm, Low Meadow, South Lopham. The Meeting of South Lopham Parish Council will be held at 7.30 pm on Thursday 3 Nov 2016 at Valley Farm, Low Meadow, South Lopham. The Meeting of South Lopham Parish Council will be held at 7.30 pm on Thursday 1 Sept 2016 at Valley Farm, Low Meadow, South Lopham. Minutes of previous meeting & AGM in PDF Format (opens in new window). 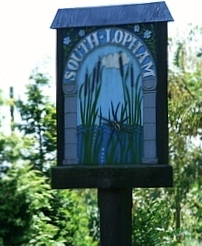 The Meeting of South Lopham Parish Council will be held at 7.30 pm on Thursday 7 July 2016 at Valley Farm, Low Meadow, South Lopham. The minutes of the Parish Council meeting & AGM held at 19:30 on Thursday 05 May 2016 at Valley Farm, Low Common have been published. They can be read here (opens in PDF format).